Philippines private investigators are professional detectives who deal with a variety of case assignments in this Asian island nation. The Philippines is an exotic locale full of international flavor and the demand for detective services is high, especially in the business sector and from foreign expats who live on the islands. Many private eyes are based in Manila, although other active areas of case activity include Cebu City and Angeles, including the site of the former US Naval installation at Subic Bay. This article examines the private investigation sector in the Island nation of The Philippines. The Philippines is a less than stable area of the world, with terrorism and local conflicts being commonplace. In the safer cities, business continues as usual, with investigators handling the needs of their personal and corporate clients in many respects. 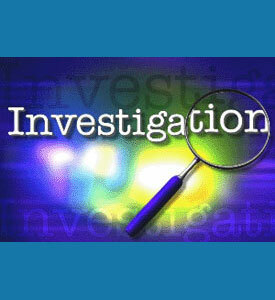 There are many criminal investigations which are performed privately, since the local law enforcement agencies do not always have the resources to fully investigate these matters comprehensively. Much like Thailand, and Bangkok and Pattaya, in particular, some areas of the island county, such as Angeles, demonstrate a large number of bargirl investigations commenced by foreigners to surveil their part-time prostitute girlfriends. The Philippines has a rich and varied history of societal influences from across the globe. While this has created a lovely people and a rich culture, it has robbed the Filipino people of much of the stability enjoyed by other Asian nations. Additionally, with the religious turmoil so common in the area getting worse year by year, many foreigners are pulling their investments out of the Philippines and heading to safer destinations elsewhere. The Philippines used to be a favorite retirement region for Americans, and especially former military personnel, but this has changed drastically since the surrender of the Subic Bay facility and Clark Air Force Base. All these factors have certainly diminished the need for detective services to the expat community and this trend is expected to continue over the next 2 decades. The Philippines remains a popular tourist destination and many legal services companies are integrated into the local landscape. This will ensure that investigators will remain working diligently on the islands, although not in the numbers which were seen decades ago. To learn more about hiring a private detective in the Philippines, or to determine if this may be a good location to begin you own detective agency, contact an international P.I. association which has offices in these beautiful Southeast Asian islands.